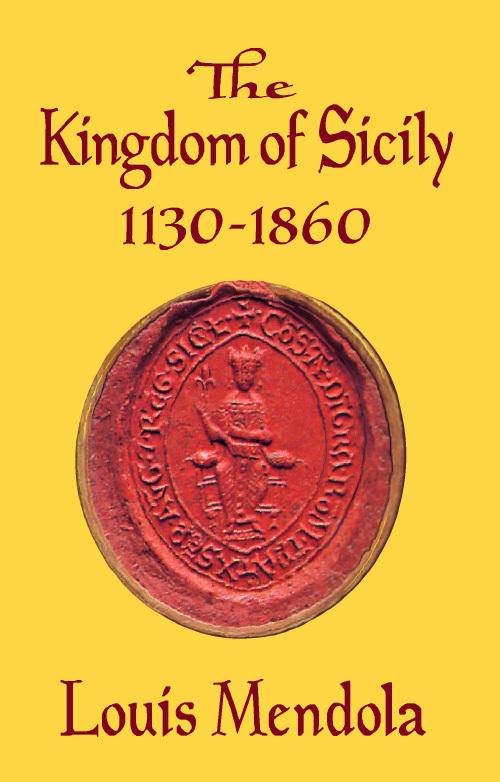 Sicily boasts the world's best genealogical resources, revealing the deep roots of a Sicilian identity and facilitating the construction of many pedigrees into the fifteenth century. 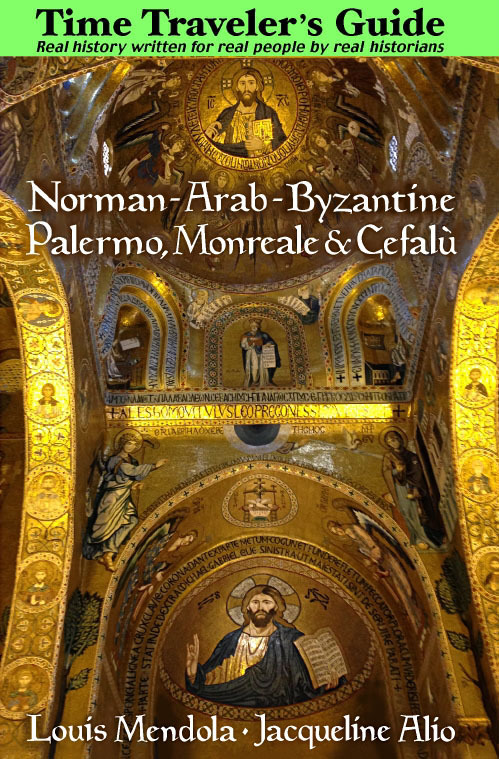 This book is the first complete guide ever published in English dedicated exclusively to Sicilian genealogical research. Topics range from parochial, civil and feudal records to DNA haplotyping, religion, rural life, folk customs, cuisine, ethnography, coats of arms, surname origins and Jewish genealogy, with insightful information on historiography and research strategies. Its reading list is a definitive canon constituting a syllabus for Sicilian studies. When it's not answering specific questions, this book tells you how and where to get the answers. 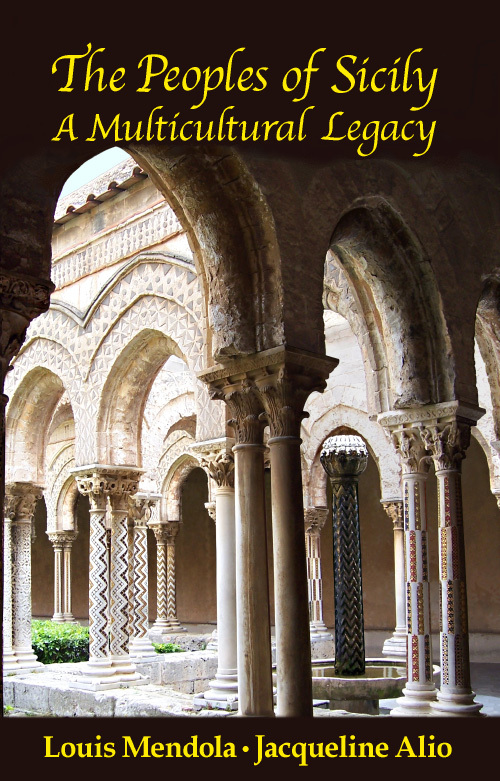 Here, with scientific rigor and disarming candor, "the Indiana Jones of Sicilian history" shows you how to "push the envelope" of family history research into Sicily's multicultural Middle Ages. 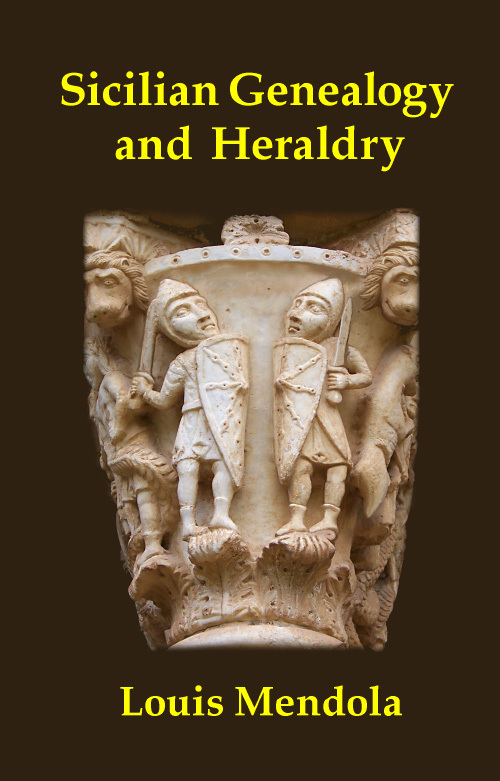 At 300 pages, Sicilian Genealogy and Heraldry covers a wide range of topics in detail, transcending "conventional" strategies to explain the "how" and "why" of historical research – shortcuts and methods as well as advice on pitfalls to avoid. It brings to life an arcane – often elusive – subject. Significantly, the author destroys many myths about Italian family history research while describing real social history; he does, however acknowledge the reliable research guides written by other genealogists, especially Americans. Especially impressive is the author's refreshingly distinctive writing style, with pragmatic reality checks sprinkled throughout the lengthier chapters. That's the kind of dogmatism missing from most genealogical guides. By his own admission, Mendola's tone is at times sardonic, as if this elder statesman were scolding the field's less disciplined historians while setting the stage for its beginners. Just when you think that his treatment of a particular topic has become tiresome or excessively theoretical, he inserts a concrete example to make his point. It's an effective technique. The British Library considered this book original enough to assign it the first Dewey catalogue classification number of its subject category. This is unsurprising when you consider that it is the first book of its kind. In his assaults on the machinations of historical revisionists and genealogical fabulists – along with fake royalty and others who manipulate history for their own edification – the author takes no prisoners. Like Verres, the Roman governor of Sicily who fled into voluntary exile following Cicero's opening speech at his trial for corruption, genealogy's fantasists should flee the moment Mr Mendola enters the fray. In fact, quite a few have, as the author has been consulted over the years by journalists, law-enforcement authorities and others seeking to expose genealogy's identity tricksters. It has been suggested, perhaps unkindly, that Mendola speaks for "The Establishment." That is incorrect. In the field of Italian genealogy, Mendola is The Establishment, or at least part of it. His role is that of a lone sheriff protecting a town or – for European traditionalists – the last knight defending a castle. He is one of Italy's most cosmopolitan historians, consulted by The History Channel, The New York Times, the Vatican, the Almanach de Gotha and the BBC (and co-author of a landmark work on Sicilian medieval history, The Peoples of Sicily: A Multicultural Legacy). Over the course of three decades, he has worked with European institutions whose lingua franca is genealogy – from the Order of Malta in Rome (to which a chapter is dedicated) to England's College of Arms. It is a useful book to own even if you do not conduct your own research, as it indicates the path that a competent professional genealogist should follow for the most immediate results. In fact, this is the guide consulted by professional genealogists working in Sicily. This is a reference work written by a highly knowledgeable, freethinking scholar beholden to nobody. The comparison of the author to Indiana Jones is not inappropriate except perhaps for Mendola's blue eyes. If you're a researcher, consulting this book is like having an experienced, heavily-armed warrior accompany you through jungles and mine fields to find The Truth on the other side. An interesting aspect of this guide is its approach to the question of Sicilian identity, and this is almost a "handbook" in that regard. If there were ever a book on "how to be Sicilian," this is it. (The first chapter begins: "What is a Sicilian?") It may be the deciding factor in your successful discovery of Sicilian ancestors and a unique Sicilian heritage. This softcover book is printed on off-white, acid-free paper in a durable binding.